Wild, raw and rustic, romantic and whimsical best describes Bloom & Bush's floral style. Our wedding flowers are full of beautiful garden blooms with rustic elements and lots of texture. We create bespoke floral designs that reflect you, your very individual style and your vision, working with you closely to make sure that all of the little details of your wedding day perfectly complement each other. We start by asking the question "How do you want to feel on your wedding day?" then take pride in helping create that emotion. Our wedding flowers are designed to enhance your venue setting and other elements to capture this feeling for you and your guests, so your special day is everything that you dream of. Whether you know exactly what it is that you want or if you need some ideas for your bouquets, ceremony and reception flowers, we can help make your day special. We offer full service wedding flowers and design, taking care of everything flower-related on the day. Our service includes styling support, event delivery, set up and a final consultation about 6 weeks before your big day to review your flower designs and colours. We work with your other vendors in the lead up to your wedding and on the big day to ensure that everything is perfect. 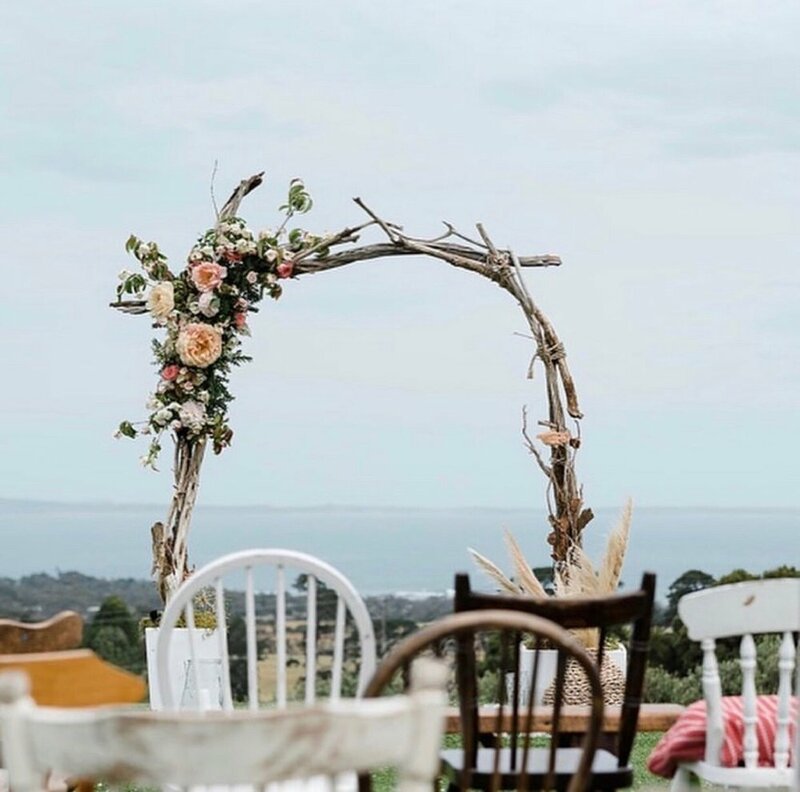 Based on the Mornington Peninsula, Bloom & Bush creates beautiful and unique wedding flowers for weddings on the picturesque Mornington Peninsula, Yarra Valley and Melbourne. We only take on a limited number of weddings each year, so that our full attention is given to each special day without compromise and your experience with us is personal. The first step is to check that your date is available and schedule a time for a chat. Please complete the form below and we will be in touch to discuss how we can help make your day special. Thank you for contacting Bloom & Bush! We'll be in touch shortly to discuss your event.